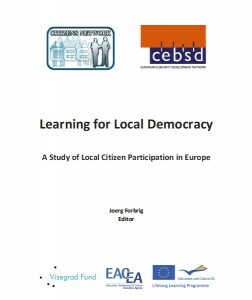 A comprehensive mapping of citizen participation and local democracy in Europe. Eight countries, Croatia, Hungary, Norway, Poland, Romania, Slovakia, Spain, and the United Kingdom were selected that reflect a broad variety of historical, cultural and social contexts. 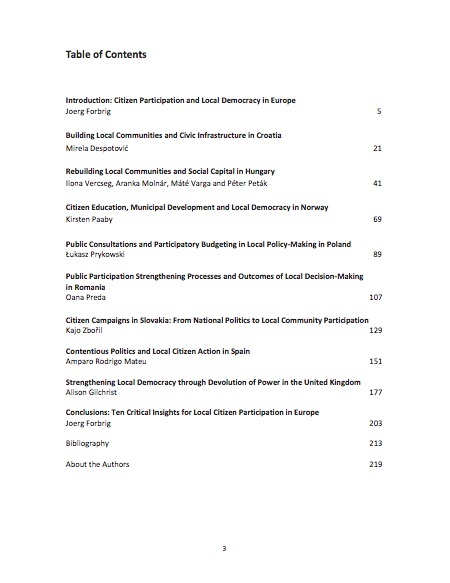 Brief country backgrounds are followed by case studies that portray concrete forms of civic engagement on the local level, and that discuss in detail the specific problems, approaches taken, obstacles encountered, and outcomes achieved. 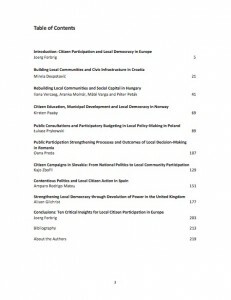 The country cases presented hint at a fascinating variety of citizen participation, civil society work and new forms of democracy that has emerged at the local level across Europe. 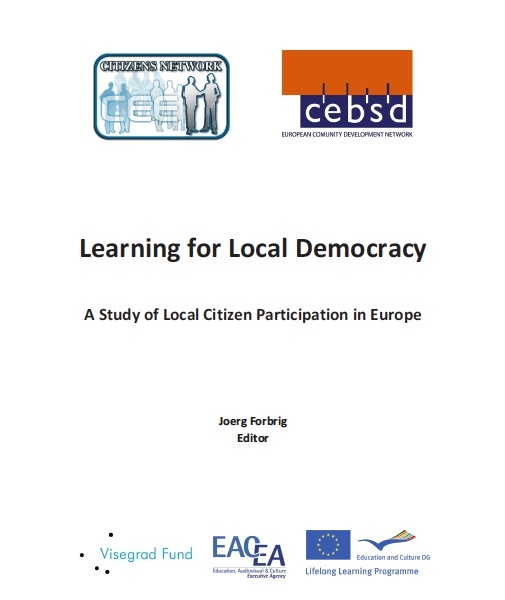 Learning for Local Democracy. Published by the Central and Eastern European Citizens Network, in partnership with the Combined European Bureau for Social Development, 2011.